When is it a Mistake to Buy a Car? Once you’ve purchased your car, you can have a lot of fun with it. There are the fundamental things like driving it around town to get to places, whether it’s for running errands or to see family and friends. Of course, you can also use it to commute to and from work. If you purchased a particularly fast car and especially one with a great suspension, there’s the option of taking it to a race track and safely putting both the car and your driving skills to the test. A popular and reputable company and location to do just this is the Skip Barber school at Laguna Seca in Northern California. This is the responsible way to drive your car fast and learn some valuable skills for how to handle your vehicle, whether we’re talking about racing on a track or just everyday use. Perhaps our favorite way to enjoy your car, however, has got to be listening to music! Whether we’re running errands, just driving to work, or whatever we’re doing in our cars, it’s so much fun to be listening to your favorite music while you do it. 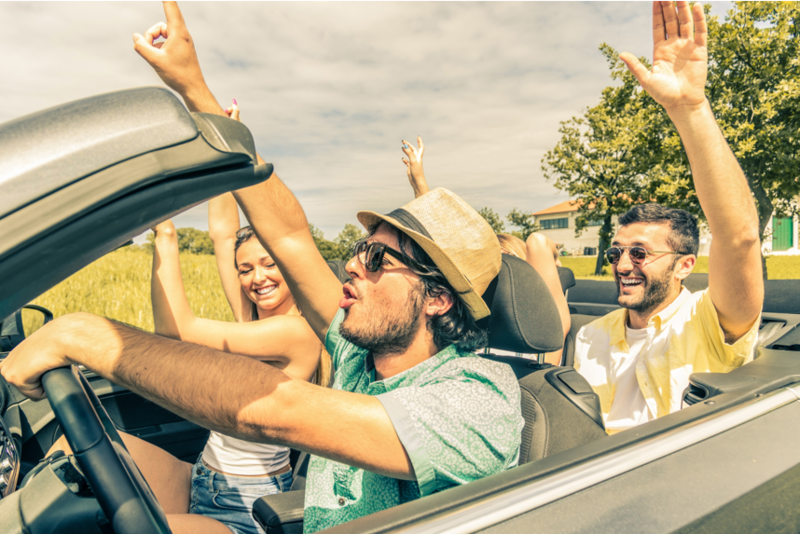 Having a great soundtrack to your drive in the country or upbeat music at the end of a long day, it’s great to groove to your favorite tunes alone or with others. Some more expensive vehicles might come with decent sound systems straight off the lot. However, this is pretty much never the case, if you value good sound quality and want to really enjoy your music. The reason is that, sadly, most people don’t understand the quality components required to bring good sound to you. Worse yet, we suppose a lot of people just don’t value good sound and are just content to listen to whatever comes out of their speakers. That’s really a shame with the wonders of musical artistry and beautiful instruments sound that are available to enjoy. Since cars typically don’t have very good sound at all, it’s necessary to pursue the aftermarket route to get the components you need to really enjoy your music with beautiful sound. These components included the speakers, that are extremely important, amplifiers that drive these speakers, and then source electronics like CD players or head units that play music from your smartphone. An excellent resource for getting properly set up with great equipment for your vehicle is Carlysis. They have excellent guides to learn more about these components, the pros and cons, and tips on finding the best prices. There are many ways to enjoy our cars and we believe that listening to great music is a huge enhancer to all your driving adventures, whether just going to town or cruising some amazing countryside. Enjoy the tunes, drive safe, and have fun! © 2017 ABC moon | All Rights Reserved.